I have a confession, I am addicted to books. 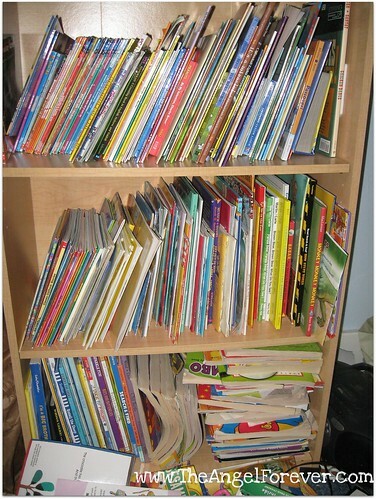 These are just some of the books that our boys have. Some were mine from teaching, others ones we have bought or received over the years. There are many other chapter books and adult books in storage for another day. Of course, this is not really surprising since I am a teacher, but something you may not really know about me. My favorite class while getting my undergraduate degree in Elementary Education was Children’s Literature. Where else could you spend an entire semester talking about favorite childhood books, characters and authors? In addition to reading a lot of children’s books for the class, we also had to do a presentation on a picture book author and one on an author that writes for older children. Who would you have picked for each of these? For the first of mine, I wrote about Arnold Lobel. He is the author behind the long time favorites Frog and Toad. While Lobel is possibly most famous for the stories about this famous duo, he also won the 1981 Caldecott Medal for his book Fables. 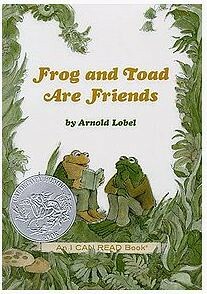 I learned a lot about his career and grew to love Frog and Toad even more. My second presentation was on Lois Lowry. When I was in elementary school, I adored the Anastasia Krupnik. They were the books that I went to when I was older and had finished reading Beverly Cleary’s Ramona series. 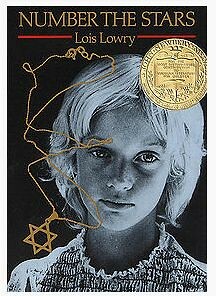 While in college, I found another book of Lois Lowry’s that will forever be one of my favorite books, Number The Stars. This historical fiction book about the Holocaust won the 1990 Newbery Medal. It is a powerful book that teaches children about the topic on a level that is perfect for them. I adored this book so much that I did several projects in college about it and then did a unit on it when teaching Language Arts a few years back. After looking over her website, I now see that I need to catch up on some of her latest books. For many years, all I read were books for college, my classroom, and my own children. Even when I had time over the summer, I would sit down with a children’s chapter book to see what my students had been reading – you know like Harry Potter, The Series of Unfortunate Events and the list goes on. These days I do stop and read my own books by Debra Macomber, Mia King or dive into a little vampire life with a Sookie Stackhouse book, but the teacher in me always moves toward books to read with my children. 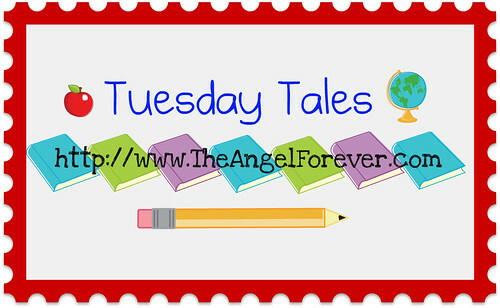 I hope you will join me each week to share a favorite story and link up what you have been reading, whether with your children, at school or on your own. All books are welcome. See you next Tuesday when we share with you The All-American Jump and Jive Jig by M.P. Hueston. We have a bookshelf in every room of our house – well, not the bathrooms, but there’s a magazine rack in both of house :) I have a really hard time getting rid of books!